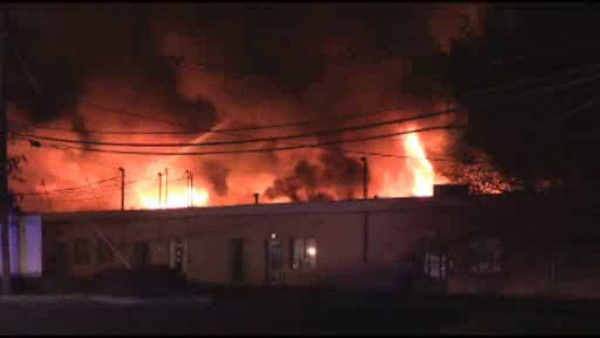 FAIRFIELD (WABC) -- Crews are on the scene of a massive warehouse fire in Essex County, N.J.
Flames broke out inside a one-story commercial building on Bloomfield Avenue in Fairfield around midnight. Fire burst through the roof of the property. Several explosions were reported inside the building. Fire companies from several towns responded to help. The bulk of the fire is out, but crews remain on the scene.